The Fourth Amendment of the United States Constitution protects the privacy of citizens and keeps them free from unreasonable search and seizures. This means that a police officer may not make an arrest or search a person's home and seize evidence without a valid reason. To ensure that our Fourth Amendment rights are upheld, lawmakers and courts have created legal safeguards against unlawful search and seizure. The search warrant is one of these safeguards. In order to perform a search of a person's property' such as a home, vehicle, apartment, or business'the police officer must first obtain a search warrant that is based on probable cause. In order to even enter a person's home, the officer must have a search warrant or the voluntary consent of the property owner. A search warrant must be specific about the item that is being searched for and the area that may be searched. To search for other items or to search in other rooms, vehicle, etc., an additional search warrant must be obtained. 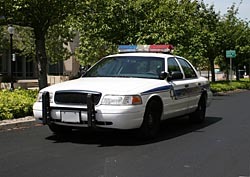 In order to get a search warrant, the officer must prove probable cause before a magistrate or a judge. Probable cause may be based on direct information or hearsay. Hearsay information can be acquired by a telephone conversation or a confidential informant. The standard of proof necessary for a search warrant is lower than that needed in court for a conviction. The idea is that evidence that can be gathered without a warrant might not be enough to convict someone, but it may be enough to show that more evidence could be gathered that may lead to a conviction. There are exceptions where a search warrant is not required to search a person or property, such as if voluntary consent is given. If evidence is in plain view, a search warrant is not necessary. For example, if an officer pulls over a driver for running a stop sign and sees marijuana in the passenger seat, the officer may then seize the item. After the individual gets out of the vehicle, the officer may then frisk the suspect and search the vehicle, including the glove compartment, for weapons. Before conducting the search, the police department must first make preparations. This may include gathering information about the layout of the building and the location of the items. If there is a flight risk involved in the search, officers will surround the building to prevent the suspects from escaping. Copying,'reproduction, or duplication of the content, web design, or look and feel is strictly'prohibited. DISCLAIMER: SearchandSeizure.Org HAS SUPPLIED THE INFORMATION ON THIS WEBSITE FOR INFORMATIONAL PURPOSES ONLY. THE INFORMATION ON THIS WEBSITE MAY NOT BE 100% ACCURATE AND SHOULD NOT BE INTENDED AS LEGAL ADVICE. THE USE OF THIS WEBSITE DOES NOT CREATE A LAWYER-CLIENT RELATIONSHIP.HIRING AN ATTORNEY IS A VERY IMPORTANT DECISION. BEFORE HIRING AN ATTORNEY IT IS IMPORTANT TO ASK FOR WRITTEN AND VERIFIED INFORMATION ABOUT THE ATTORNEYS QUALIFICATIONS AND EXPERIENCE. Copyright ' 2009 SearchandSeizure.Org . All Rights Reserved.